When it comes to displaying multiple images for WooCommerce products attribute variations in order to to drive more sales and conversion, the Additional Variation Images Plugin for WooCommerce is the perfect choice. 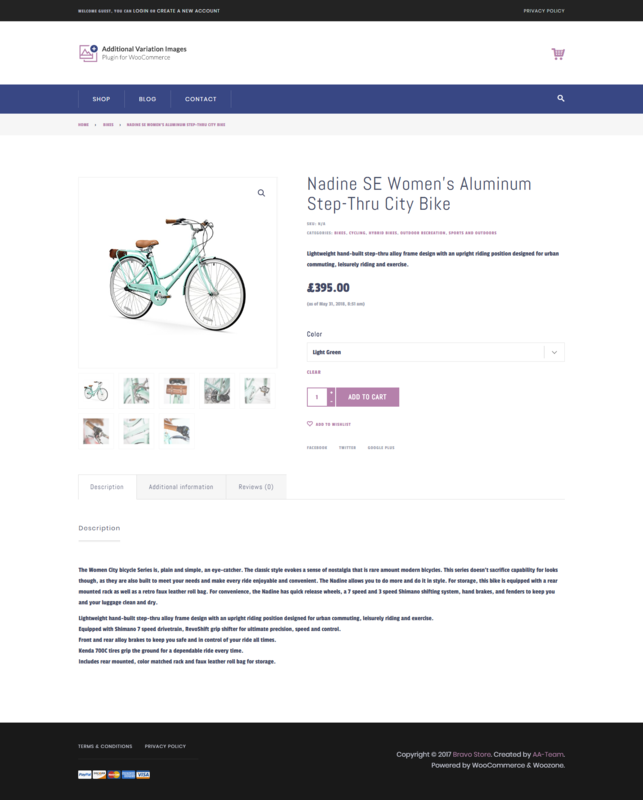 You might have noticed that WooCommerce comes with a basic option to insert a single image for a product variation. It means, there is no option to add more than a single variation image when it’s highly essential to sell your products nowadays. It’s time to boost the power and flexibility of WooCommerce by using the Additional Variation Images Plugin! If you are looking for a plugin to insert multiple images per variation for Woocommerce variable products, you are in the right place. The plugin is well-documented and optimized to support major WooCommerce themes in the market. Wouldn’t be nice if you could add an entire gallery of images to your variations? So that your clients can easily switch & preview multiple images of the same variation. Optimize your WooCommerce product variation image gallery and boost your sales today! The possibility to sort images from variations Sorting option is an incredible port of this WooCommerce Additional Variation Images Gallery plugin, it allows you to reorder variation images after uploading it. It means you can decide the order of the variation image display in the gallery. 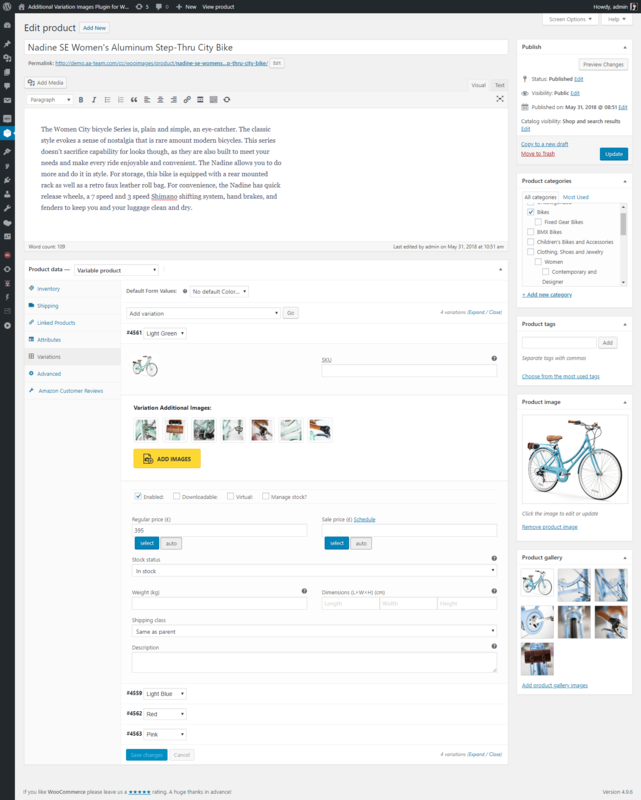 When you insert images for your product variation image gallery, it allows to select unlimited images each time. Say goodbye to one image selection for each time.